I’ve procrastinated all review writing of late. Spring has been a very pleasant distraction, and while I’ve been reading plenty I haven’t managed to formulate any review posts in the last couple of weeks. In the spirit of Spring cleaning (and procrastination), I’ve given my blog a little makeover! Instead of writing lengthy review posts for each book, I’m going to briefly comment on three of my fave reads of Spring so far- none of which are new releases. All of which get 5 out of 5 stars. Why did it take me so long to pick this up?? I really have no idea. It’s been on my bookshelves for a couple of years and I finally decided I was in the mood for a serious and thought-provoking novel. Well, The Kite Runner was the perfect choice! Such a sad story with beautiful characterisation and a subtle underlying theme of hope. A friend recommended this book to me after she borrowed my copy of Lost & Found by Brooke Davis. It’s style and child point of view reminded her of Counting by 7s. It does have some quite similar elements, using a child POV, it explores grief and loss, friendship and hope. It finds humour in the depressing bits of life and draws on the role of relationships in creating stability in one’s life. 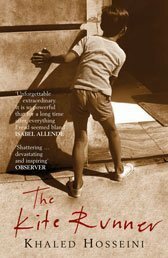 The twelve year old protagonist is a fascinatingly well-written and likeable character. Wow. This book was mesmerising. Set in historical Iceland, the setting of this book is mysterious, dark, cool and fascinating. It’s just as much a character as the people represented in the story. The Australian author captures the time and place of a woman executed for the brutal murder of two men. I really enjoyed the slow unfolding of the story as it moves between the past (the crime) and the present (lead up to the execution). Every time I picked up this book I was completely absorbed and yet I didn’t want to read it too quickly- I wanted to savour every page. This book & review also counts toward the 2014 Australian Women Writer’s Challenge. It’s brilliant that you’ve had a run of 5 star reads lately! One of these days I’m finally going to pick up The Kite Runner. And I’m adding Counting By 7’s to my to-read list. Hope you enjoy your next reads as much as you did these three. Thanks Kate. It’s such a nice feeling when you know you’re onto a good book and you can completely lose yourself in it. I think choosing these books to read myself (rather than them being sent from publishers) greatly contributed to how much I enjoyed these stories. I hope you enjoy The Kite Runner and Counting By 7s when you get a chance to read them. 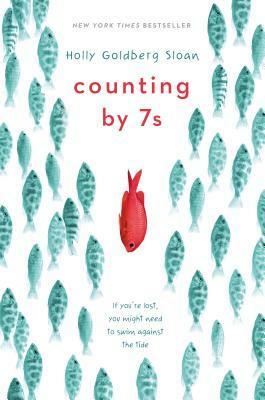 I’ve been meaning to read Counting by 7’s for a while now! 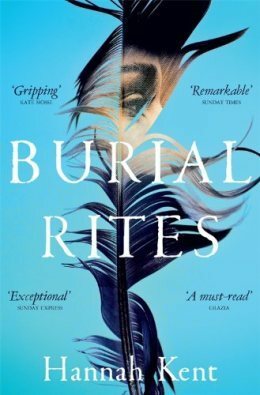 And like you, I loved Burial Rites as well. All Three are on my reading list!